Everything's art. Art is life. From the moment we wake up, to the hour we fall asleep, we're surrounded by this thing we call "the world", and from our perspective we find ourselves in the middle of it all. Unimaginable amounts of time have elapsed prior our birth and will continue after we're gone. But for one hundred goes around the sun, we're here. We judge people. On their actions, on their contributions, what will people remember us for, if at all? It's partially left to us, along with a bit of chance and magic. There's magic in the world. Not in the typical way we envision magic (wizards with rabbits) but in the mystery of events unexplained. Discovery is magical--giving us fulfillment and purpose--as if a private mystery were entrusted to us to solve and share with our peers. Serendipity is magical, the overwhelming feeling that you're exactly where you need to be at precisely the right moment. I love that feeling. "Teacher's" help us make sense of it all. Like one big review they fill us in on everything we missed so we can continue to solve new mysteries. As "students" it's our job to always be listening (doesn't mean we have to always listen). People believe what they want, but it's our responsibility to find a philosophy that resonates with the way we view the world. Critics often talk about how art is a "reflection of life". What does that make life? Life itself is an art. It can be good, bad, tasteful, innovative, unoriginal, even boring. However you want to categorize it, with our present time, we've got this opportunity to make something for the rest of humanity to contemplate. Think about the Mona Lisa, hanging by herself on a wall in the Louvre, looking sternly at the faces of her millions of visitors. This is one painting. What if life was a canvas (it is), could you paint the Mona Lisa of lives? Art is present in every culture known to man. 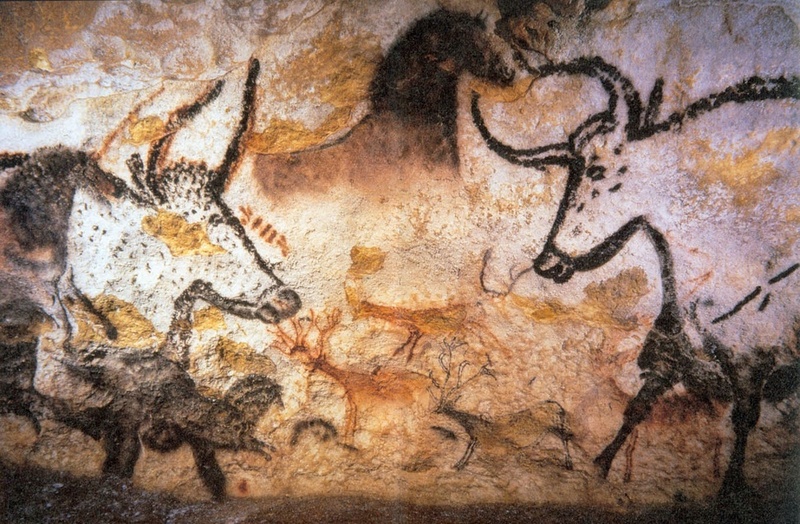 It's found on cave walls dating back thousands of years, telling stories of legendary hunts, tribal rituals, and unexplained phenomena. I love how modern anthropologists use these sketches to imagine "what life was like" so long ago. That, is the power of art. That's magic.